The music video for "Stand Inside Your Love" by Smashing Pumpkins is my favorite one. And I think there are some old movies with similar visual. And I also look for really old movies with more avant garde visual. And some of the earliest B&W blockbusters, too. What's vintage about that video? The corsets? 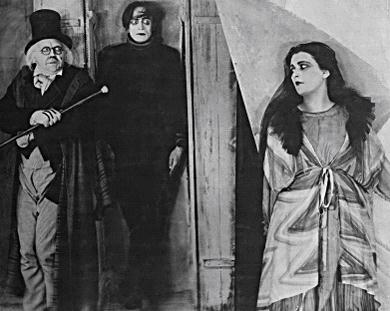 You're kind of looking for German Expressionist cinema of the 1920's and earlier really. ...are a few examples. Also movies such as 'M', and American Noir cinema such as 'Stranger on the Third Floor'. Last edited by Aly Fell; August 31st, 2009 at 10:24 AM. Reason: Doh! Another one in that neighborhood would be Paul Wegener's "A Student of Prague"
Last edited by arttorney; August 31st, 2009 at 12:26 PM.